The ARISS contact on Thursday 11 april 2019 at 12:55 UTC (14:55 CEST) 64 deg with OR4ISS and Ecole des Charmilles, Thyez , via ARISS telebridge ground station ON4ISS (Aartselaar, Belgium) was successful. Astronaut David St-Jacques KG5FYI answered 17 questions from students. of David Saint Jacques, KG5FYI, help students asking their question. 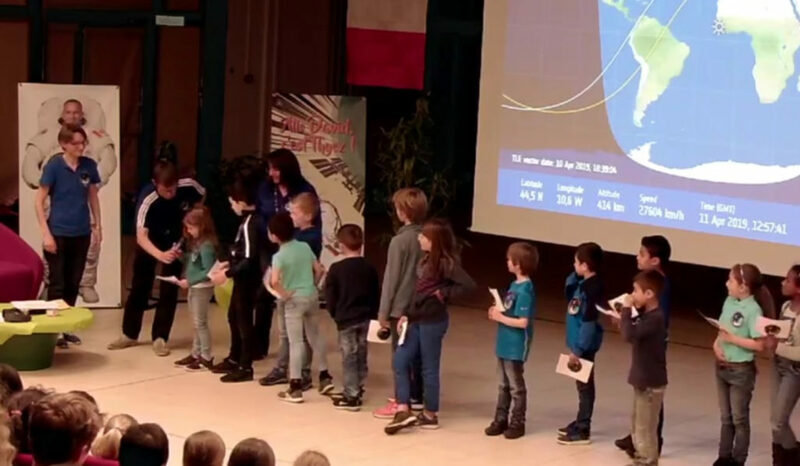 200 people attended the ARISS contact with enthusiasm, among them 150 children between 6 and 10 years old. Among the guests were City Hall officials and the regional Deputy.